Hunas or Huna was the name given by the ancient Indians to a group of Central Asian tribes who, via the Khyber Pass, entered India at the end of the 5th or early 6th century. Huna Kingdom occupied areas as far as Eran and Kausambi, greatly weakening the Gupta Empire. 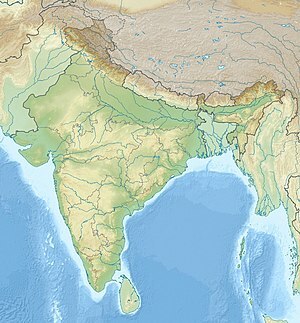 The Hunas were ultimately defeated by the Indian Gupta Empire and the Indian king Yasodharman. The Hunas are thought to have included the Xionite and/or Hephthalite, the Kidarites, the Alchon Huns (also known as the Alxon, Alakhana, Walxon etc.) and the Nezak Huns. Such names, along with that of the Harahunas (also known as the Halahunas or Harahuras) mentioned in Hindu texts, have sometimes been used for the Hunas in general; while these groups appear to have been a component of the Hunas, such names were not necessarily synonymous. The relationship, if any, of the Hunas to the Huns, a Central Asian people who invaded Europe during the same period, is also unclear. The Mongolian-Tibetan historian de:Sumpa Yeshe Peljor (writing in the 18th century) lists the Hunas alongside other peoples found in Central Asia since antiquity, including the Yavanas (Greeks), Kambojas, Tukharas, Khasas and Daradas. Chinese sources link the Central Asian tribes comprising the Hunas to both the Xiongnu of north east Asia and the Huns who later invaded and settled in Europe. Similarly, Gerald Larson suggests that the Hunas were a Turkic-Mongolian grouping from Central Asia. The works of Ptolemy (2nd century) are among the first European texts to mention the Huns, followed by the texts by Marcellinus and Priscus. They too suggest that the Huns were an inner Asian people. The Kidarites, who invaded Bactria in the second half of the 4th century, are generally regarded as the first wave of Hunas to enter South Asia. The Gujars are sometimes said to have been originally a sub-tribe of the Hunas. The religious beliefs of the Hunas is unknown, and believed to be a combination of ancestor worship, totemism and animism. Song Yun and Hui Zheng, who visited the chief of the Hephthalite nomads at his summer residence in Badakshan and later in Gandhara, observed that they had no belief in the Buddhist law and served a large number of divinities." Victory pillar of Yashodharman at Sondani, Mandsaur claiming victory over the Huns. Asia in 500 CE, showing the Huna domain at its greatest extent. Nezak Huns king Napki Malka. The "Hephthalite bowl", NFP Pakistan, 5th or 6th century CE. British Museum. ^ Kurbanov, Aydogdy (2010). "The Hephthalites: Archaeological and Historical Analysis" (PDF). p. 24. Retrieved 17 January 2013. The Hūnas controlled an area that extended from Malwa in central India to Kashmir. ^ a b Gerald James Larson (1995). India's Agony Over Religion. State University of New York Press. pp. 78–79. ISBN 978-1-4384-1014-2. ^ Sumpa Yeshe Peljor's 18th century work Dpag-bsam-ljon-bzah (Tibetan title) may be translated as "The Excellent Kalpavriksha"): "Tho-gar yul dań yabana dań Kambodza dań Khasa [sic] dań Huna dań Darta dań..."
^ Pag-Sam-Jon-Zang (1908), I.9, Sarat Chandra Das; Ancient Kamboja, 1971, p 66, H. W. Bailey. ^ Hyun Jin Kim, The Huns, Abingdon, Routledge, passim. ^ Joseph Kitagawa (2013). The Religious Traditions of Asia: Religion, History, and Culture. Routledge. p. 229. ISBN 978-1-136-87597-7. ^ Procopius, History of the Wars. Book I, Ch. III, "The Persian War"
^ Mircea Eliade; Charles J. Adams (1987). The Encyclopedia of religion. Macmillan. pp. 530–532. ISBN 978-0-02-909750-2. ^ "The White Huns - The Hephthalites". Silkroad Foundation. Retrieved 11 January 2013.